Keiryu's Random Google Search FIGHT FASCISM!!! Just one of my random google searches...The things you find sometimes. Anyway remember kids. 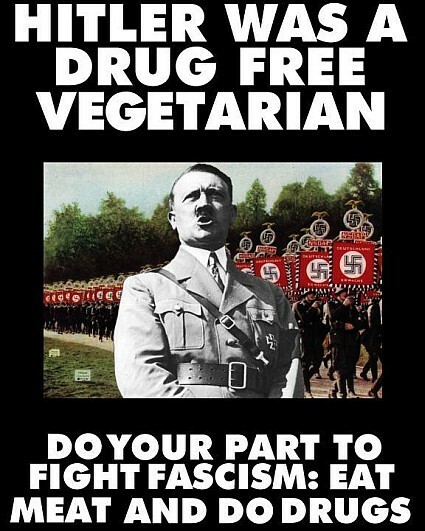 Only Fascists and Terrorists eat and live healthy...DO DRUGS!!! KEIRYU MASTER OF INSANITY...out (Currently busy eating a cow while snorting some white powder. mini me Lol. Yeah Folks, smoke pott and wrap the world in a smoke of love and peace. kotomifan Catholics can be vegetarians, as well as teetotalers. They just dont HAVE to be. kotomifan He didnt think he had a drug problem because it was prescribed. Same thing happened to Elvis and almost happened to Brian Wilson.